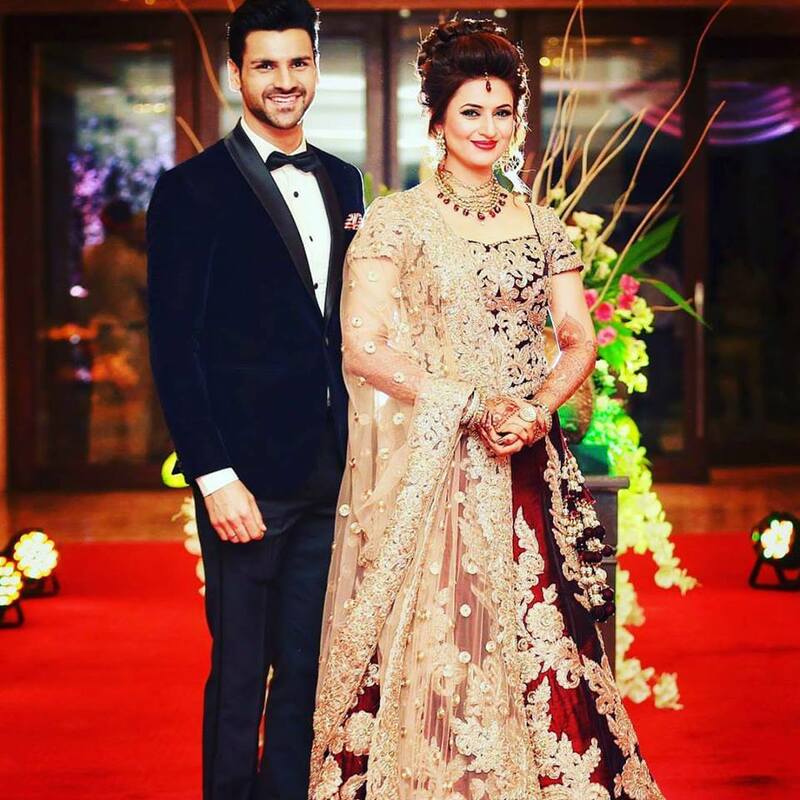 Most adorable actress of Indian television industry Divyanka Tripathi Latest news is that she is getting settled with her would be better half Vivek Dhaiya Soon. On this cherished occasion there are certain facts about her personal and professional life that her fans would surely love to go through. She was born on December 14, 1984 to Nanarendra and Neelam Tripathi in Bhopal, Madhya Pradesh a state in Indian. She is blessed with two lovely sisters named Aishwarya and Priyanka. She completed her schooling and college from Nutan college, Bhopal after which she joined Nehru Institute of Mountaineering in Uttarkashi to pursue a mountaineering course and also learnt rifle shooting from prestigious Bhopal rifle Academy and also won a gold medal. She started he career as an anchor on Bhopal akaash vani. In 2003 she won a title of miss beautiful skin in Panteen Zee Teen Queen. Later in 2004 she was declared a winner of Indias Best Zee Cinestars Ki Khoj from Bhopal zone. In 2005 she was crowned Miss Bhopal. She made her acting debut from the telefilms telecasted on Doordarshan but got recognition for her lead role in a zee tvs fiction dail soal banu main teri dulhaan. Then she worked in a star plus show shhh koi hai followed by Mrs and Mr Sharma allahabadwale on Sab tv and finally as the most loved Ishi maa on star plus show yeh hai mohobbatein. She also made appearance in many other serials on small screen like khana khazana, nachle with Saroj Khan, intezaar, adalaat, teri meri love story, kahani comedy circus ki, box office league, star valentine’s day, bad company, and bahu hamari Rajnikant. She played the role of rani Padmavati in a film titled Lala Hardaul in 2012 and as Zara in a divorce to remember in 2014. Giving several award winning performances she won several awards. She received Indian Television Academy award in 2008, 13th Indian Telly awards,8th Zee Gold Award and 21st lions gold award in 2015 for best actress. She was titled face of the year in 8th and 7thzee gold awards 2015 and 2014. She got zee gold award for best female debutant in 2008. She got awarded with Star Parivar awards in 2015 for being a favourite maa patni, figitsl sadasya, jodi etc. As far as her personal affairs are concerned, the beautiful lady finally got ready to settle with he ye hai mohobattein co actor Vivek Dhaiya by getting engaged to him in January this year. At present the heart throb of million youngsters is preparing to get married and have a well settled life with her partner in love Vivek Dahyia. 10.Ruhi’s Ishi maa as the world knows her at present, Divyanka is all set to get married and break the hearts of her several fans by lighting up the light in the life of her beloved Vivek Dhaiya. All what her fans wants at present is to wish her all the very best.